Skincare can be a complicated business. 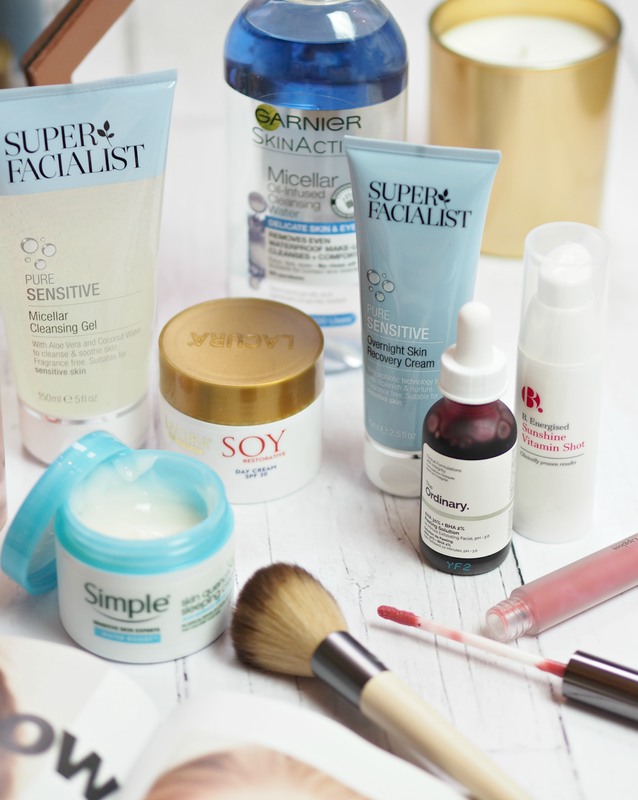 It’s all AHAs, retinol, glycolic, collagen, soy peptides and any number of confusing terminologies, whereas the majority of women (and men) just want a simple and easy to manage routine that looks after their skin with little effort. 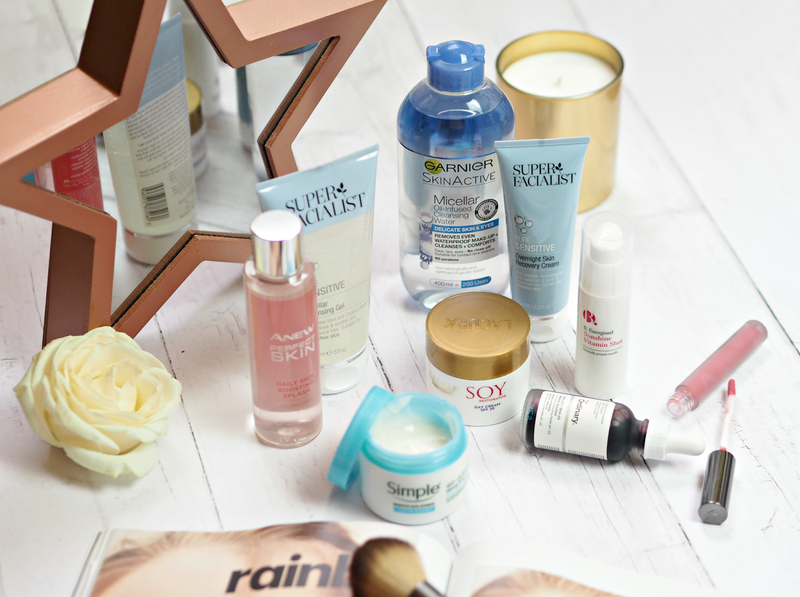 Although I’m all over potent ingredients and multi-step routines, I know that’s not for everyone – if I can get you ditching the face wipes, using an eye cream and applying a night treatment then you get a gold star! 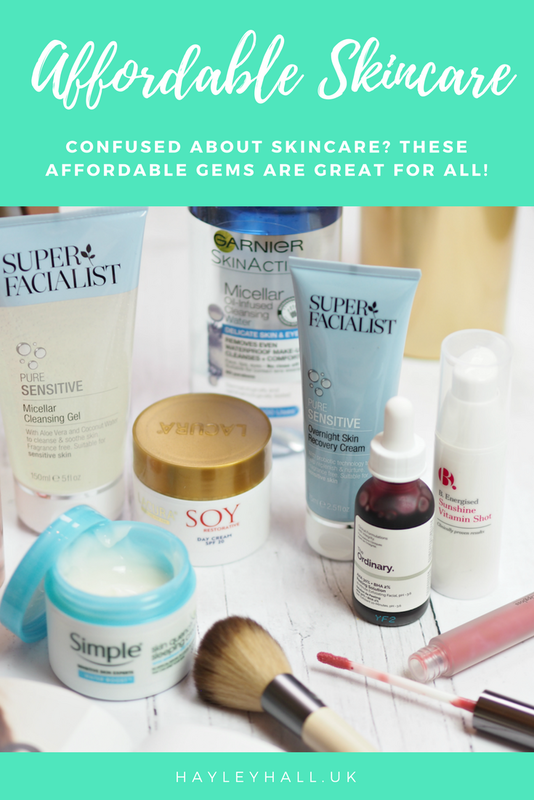 If you know you should be looking after your skin but don’t know where to turn, or are just a little confused about all the complex brands and ingredients you think you should be using, here are some really stripped back and easy to use alternatives; every one would fit into every skincare regimen, and none of them break the bank. The first step in any great routine is arming yourself with a handful of tools to do the job well, and these will tick all those boxes and more. Although this should still be very much a first step in your cleansing routine, a micellar water is always good to have on hand – they effectively lift away dirt and makeup without stripping skin, so they’re an inoffensive way of removing that first layer before a deeper cleanse (or even as a finishing touch afterwards.) This micellar water is also infused with a layer of oil to help lift away even waterproof makeup and help to gently nourish skin simultaneously; you do have to shake it to mix before applying to a cotton pad, but it easily glides over the surface of skin. Skin feels fresher without being tight, leaving your complexion ready for your usual skincare routine. Suitable for irritated or sensitive skin, this fragrance free formula combines probiotic technology with soothing ingredients to help balance and nurture stressed complexions. Probiotics are definitely one of the buzz words in beauty for 2018, as they help to restore balance in the skin and encourage healthy cell renewal, and this simple formula captures their potential in a really lightweight but soothing overnight treatment. If you’re after a simple way to look after your skin (without endless ingredients to get your head around) this is a great shout, no matter your age; it won’t revolutionise your skin, but it will help to gently care with minimal faff. 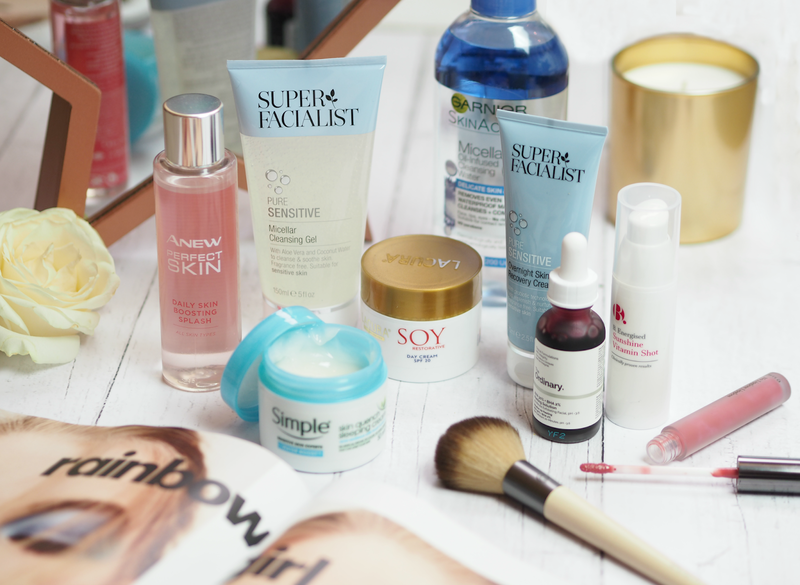 Big news in beauty right now, skin splashes hail from Korea and are usually part of a ten step routine – however, if you can’t be bothered with that level of skincare they’re also great as a quick and easy way to boost skin both morning and evening. This affordable skin tonic is patted or ‘splashed’ onto skin and gently patted in to the surface, infusing it with the beneficial ingredients without the need to wash off. Although I can’t find an ingredients listing (when will this become a legal requirement eh?) Avon say it contains their ‘Perfect Cell Complex technology to help skin thickness, smoothness and tone.’ It’s a great one if you want to take better care of your skin, but just don’t have the time. No matter your age, skin type or general need, everyone could do with an injection of brightness to help their complexion glow. A gentle skin peel could be just the answer you’re looking for, helping to slough away the top layer of dead skin and leave a brighter and smoother surface beneath, and this amazing formula from The Ordinary is both effective and seriously affordable. It’s pretty intense so be careful not to use it on broken, irritated or seriously sensitive skin, but applying a thin layer to skin and leaving for around five minutes after cleansing is all you need once a week. I do love a good face wash for in the shower, and this is a gentle inoffensive formula that’s infused with goodness to hydrate and nurture my skin. Aloe Vera and Arnica (both known as naturally soothing naturals) combine with micellar technology to help balance, comfort and cleanse the skin, while Coconut Water offers hydrating benefits too. It doesn’t strip the surface or leave my face feeling tight, but instead helps to remove residue from my night treatments in one easy step. A great one to share with mothers, daughters and best friends. Ever wondered why your skin looks so great when it’s been sunny outside? Vitamin D helps to speed up the recovery of skin and encourages a healthy glow, but with this treatment you can stay inside but still get (some) of the benefits. Designed to cleverly mimic the effects of sunlight exposure, this lightweight gel-like-cream helps to provide a radiant and smooth complexion while helping to firm, strengthen and comfort. Although I can’t testament to the fact I look like I’ve had a two week trip to the Maldives, it’s pleasant and has a lovely story behind it. A great one to use all year round for a brighter tone and clearer complexion! I wouldn’t normally be recommending a Simple skincare product (I left them firmly behind in my 20’s!) this is actually a cute little addition to any night time routine, mainly due to the fact the formula is so light and is perfect to layer on with other treatments. Essentially it’s a gel moisturiser that transforms into a water-like texture upon contact with the skin, instantly providing a hit of hydration. Although that hydration isn’t going to be long-lasting or transform skin, it’s a great one to use when you’re layering with serums or simply don’t have the time to let a heavy cream sink in before bed. A great way to start a night time regime. Nope, that’s not a typo – this really is less than two quid. 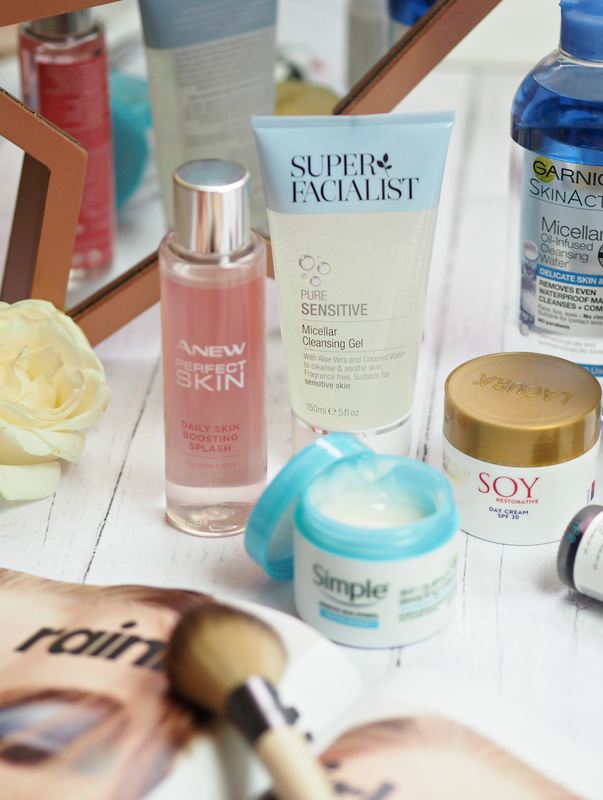 Aldi have created a seriously impressive skincare line that’s not only won multiple awards, but is often celebrated as a hidden gem by beauty editors and high profile skincare experts. Although specially formulated for ‘mature skin’ it’s really suitable for everyone, thanks to the inclusion of coenzyme Q10 and avocado oil to help to optimise skin’s structure and elasticity. It’s a nice enough formula and definitely helps to hydrate skin, making it a great all-round day cream if you’re on a budget. Ahhh I love an eye cream! Some of my fave brands are Caudalie, Murad and Ren for eye creams – but The Body Shop also have some fab affordable ones. It's a best seller I think in Boots – lots of fans! I love The Ordinary, this is one I haven't tried yet, maybe a should!